The town centre of Reykjavik is not very big, so you can easily walk almost anywhere. 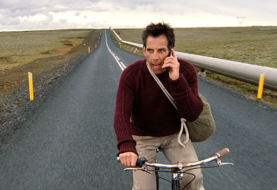 Basically, there is just one main street called Laugavegur. On this street, and the smaller streets around, you will find most of Reykjavik's shops and restaurants. If you are looking for centrally located budget accommodation with a twist, I can recommend the Galaxy Pod Hostel. I stayed here on my first Iceland stopover in April 2017 and thought that sleeping in the Pod‐style "capsules" instead of an average bunk bed was really cool! The hostel is located on the main street at Laugavegur 172. It's on the far end of "the strip", but if you just walk straight ahead for about 10 minutes or so, you get to the main part of Laugavegur right in the heart of the city. Another advantage of staying in a centrally located hostel or hotel is that all the bus tour companies in Reykjavik offer convenient and FREE pick up and drop off services to go on a tour outside of Reykjavik. Like everywhere else in the world, AirBnB is up and coming in Iceland, too. But bear in mind that there are not as many places yet so you need to book early to secure your bed. Plus, AirBnB's tend to be a bit further out the city centre so you probably have to use the city busses to get into Reykjavik's centre and back to your accommodation. You can buy bus passes or the Reykjavik City Card (which already includes free use of the city busses) at many supermarkets in town or at the Tourist Information Centres. I found that AirBnB's tend to offer better value for money (at least for a single room) than a hotel or hostel, so it's worth looking into. During my stopover in June, I stayed with Dia Marie and her husband Ingvar, which was a really pleasant experience! If you are not registered on AirBnB yet, follow this link to create your profile for free and I'll give you 20 € off your first booking! For a great first overview of the city, take part in the tip‐based only walking tours offered by City Walk Reykjavik. Iceland's official "White House" is a little bit smaller than that in Washington D.C., but nevertheless just as charming. Eric, the founder of City Walk Reykjavik and a history graduate, is a true Icelandic original! He – or one of the other guides in the team – will tell you everything there is to know about Icelandic history and culture And they will do so in the most entertaining way! You don't have to pay much to have all of Reykjavik at your feet. 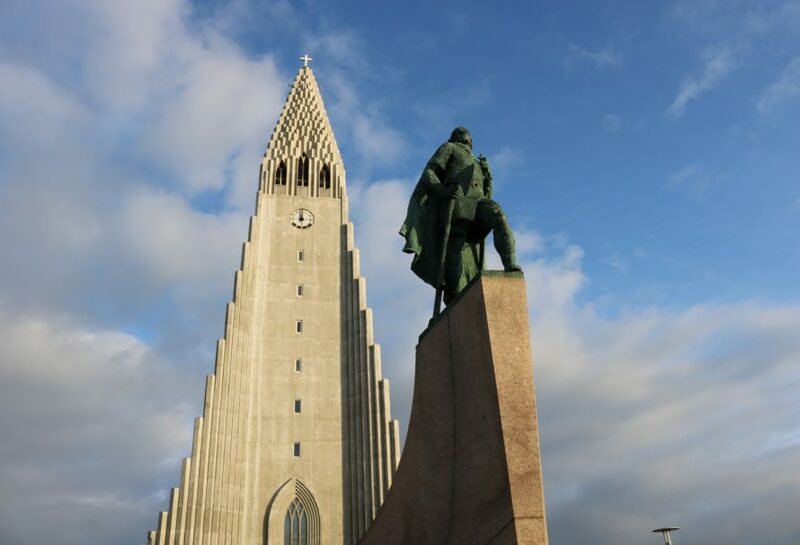 It's free to explore the centrally located, Geyser‐shaped church Hallgrímskirkja from the outside and inside. If you want to go up the tower, adults pay 900 ISK (about 8 €), which I think is a reasonable price. The "Hamborgarabúllan" chain is another good option for a cheap and speedy burger meal (for example on Geirsgötu 1 right by the harbour front). And don't worry if you are a vegetarian like me. There was always a veggie burger option! Talking about the harbour front, it is of course free to just stroll around and enjoy the views. On a sunny day these are most beautiful if you start at the historically important Höfði House on Borgartún. It was here at the Höfði House where Ronald Reagan and Mikhail Gorbatsjov met in 1986 to discuss the beginning of the end to the Cold War period. A little bit further down the harbour (after you've passed the impressive Harpa Concert Hall and Conference Centre), several boat companies will offer whale watching, puffin watching or sea angling tours. 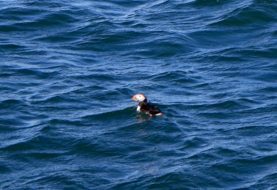 My tip: Walk to the end of the harbour and join the Puffin Watching Tour with Happy Tours! The starting point is located just before the VIKIN Maritime Museum. Whale Watching is another unique (and reasonably priced!) experience you should not miss while visiting Reykjavik. I went on one and got very lucky to see two humpback whales diving up and down the water to greet us! If you like to book a tour from Reykjavik in a few simple clicks, visit my dedicated Film Fan Travel booking engine on Tour Desk. You will also find Reykjavik's Volcano House here, where you can visit the volcano exhibition (FREE!) or watch the 1 hour documentary film (1,990 ISK) about two important volcano eruptions in Iceland. Planning a museum day in Reykjavik? The Reykjavik City Card will save you money! You can either get one for 24, 48 or 72 hours at many tourist information points, hotels or at supermarkets. The prices starting at 3,700 ISK (ca. 32 euros) for a 24‐hour adult card and also include unlimited travel on all of Reykjavik's busses as well as several special discounts. Due to their close proximity, museums such as National Museum of Iceland, The Settlement Exhibition or the Museum of Photography can easily be visited in one day. Reykjavik's Open Air Museum Árbær (open in the summertime only) is a little further out, but well worth a visit if you're interested to see how Icelanders lived back in the day. The houses on display are fully furnished and tell lots of intriguing stories about the past. There are daily guided tours at 1 pm. If you planning on going, set aside some time because it will take at least 30 minutes to arrive there by bus (number 5, 12 or 16) from Reykjavik's city centre. Iceland is famous for the Blue Lagoon and I admit it's a must‐do (especially on your first visit to Iceland and if you're flying in because it's so close to the airport). However, it's also VERY expensive. The typical Icelandic public thermal baths, located all over Reykjavik, are a cheaper and also more authentic alternative. Quite conveniently, entry to Reykjavik's main public thermal baths is already included in the previously mentioned Reykjavik City Card. Thus, you can easily combine a busy day of sightseeing with an evening of realxing in a public thermal bath. Just remember to shower naked and thoroughly before you enter the pool. This is an absolute must (because Iceland's public pools do not use chlorine) and signs will tell you to do so everywhere! It may not be that cheap, but it will definitely be worth it because you can just sit back and relax while everything is being organised for you! Also, if you only have limited time in Iceland, you can be sure to get the most out of your precious few days. All you are left to do then is to check off the sights on your bucket list. The Golden Circle Tour is the must‐see introduction tour to Iceland. You will get up close to erupting geysers, mesmerizing waterfalls, the drift between the American and Eurasian tectonic plates and the oldest parliament in the world (which also features as a film location in Game of Thrones). The South Coast Tour and Glacier Lagoon Tour to see the real Iceland and dozens of Icelandic film locations! A Horseback Riding Tour because it's a very special experience to explore the Icelandic nature on horseback. If you're travelling during the winter season, experiencing the spectacular display of the mesmerizing Northern Lights won't cost you a thing (except rental car fees perhaps). Iceland is well known for offering really good visibility of the Northern Lights, even quite late in the season. Some of the other travellers I met at the Galaxy Pod Hostel actually saw them on a clear night at the end of April. Visibility is best if the sky is clear and there is as little artificial light as possible. 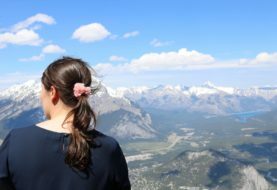 If you have a rental car, chances to have a good view are highest if you drive to a spot a little bit outside of the city. Of course, if you like to learn a little bit more about the lights and need transportation because you didn't rent a car, there are also guided tours available, such as the Northern Lights Tour with Happy Tours. These guided excursions will give you a guarantee that if you don't see the lights on your booked tour, you are welcome to join the tour again free of charge on the next available day. In the summertime (more or less May to August), you can of course enjoy the opposite light spectacle of the midnight sun! Be prepared to wear your sunglasses at night if you come in June. At that time, there are almost 24 hours of daylight in Reykjavik – and yes, that happened to me on my recent visit in early June 2017. 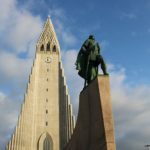 Got more budget‐friendly tips for Reykjavik? Let me know in the comments below! Disclosure: If you sign up on AirBnB through the link given in this post or book a tour through my dedicated Film Fan Travel Tour Desk website, I will receive a small affiliate fee, which I will use towards running my website.